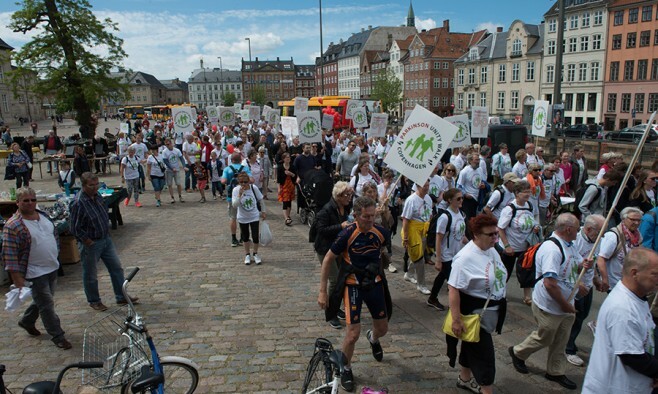 The 4th edition of the Copenhagen Parkinson Unity Walk takes place on 30 May and aims to increase public awareness of the disease as well as emphasising the importance of exercise for the wellbeing of people with Parkinson’s (PwPs). The walk is organised by a group of volunteers who are all PwPs. As a nation of cycling enthusiasts, it’s not surprising that more than 200 cyclists are also expected to join up with walkers at Christiansborg, the Danish Parliament. The Copenhagen event is one of many walks that take place around the world to raise awareness and/or funds, the most famous being the US Unity Walk that this year raised over $1.5 million for research. Find the full event programme and more information here. Do you want to organise your own Unity Walk? Download the EPDA’s step-by-step toolkit here.